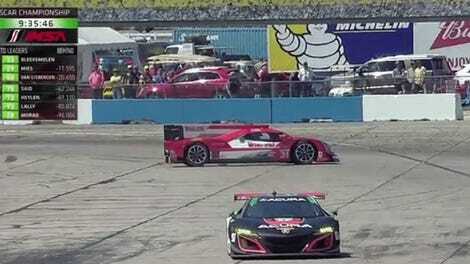 Nicky Catsburg is the second car to get a face-full of tire wall at the 12 Hours of Sebring. His No. 24 BMW M6 GTLM brake pedal went to the floor, and he wasn’t able to slow down for an upcoming turn on the back side of the track. Something broke. 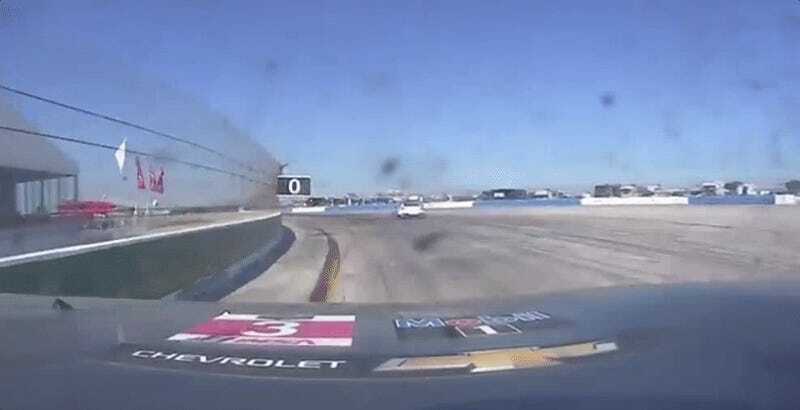 Fortunately, IMSA reports that Catsburg has already been checked and released by the on-site medical team, however, he did bring out the third full course yellow flag while crews rebuilt the barrier. The No. 24 has been plagued by problems all morning, having already spent a long time behind the wall for a drivetrain failure. The No. 3, which had been a contender for the GTLM class lead, has since dropped down to seventh place as of the time of this writing. The No. 24’s bad luck may be spreading!